This collection of the most beloved Disney songs spans 60 years of music from Disney movies, TV shows and themed parks. 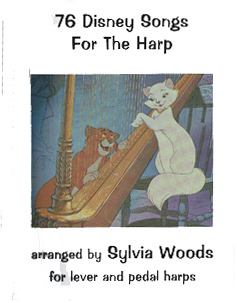 All of the arrangements are playable on either lever or pedal harps. The lyrics are included so you can merrily sing along while you play.